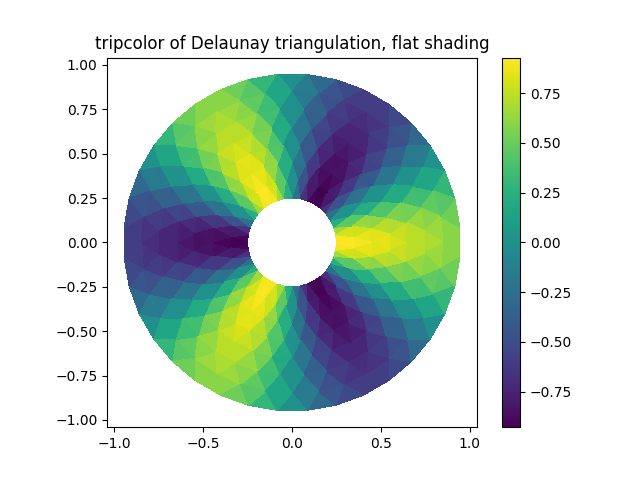 Rather than create a Triangulation object, can simply pass x, y and triangles arrays to tripcolor directly. 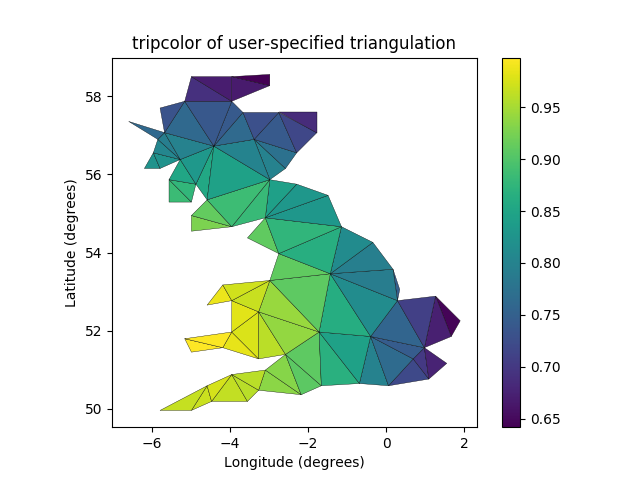 It would be better to use a Triangulation object if the same triangulation was to be used more than once to save duplicated calculations. Can specify one color value per face rather than one per point by using the facecolors kwarg.